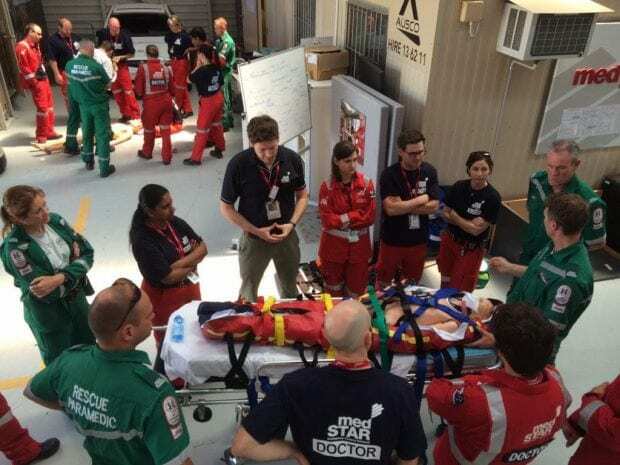 Critical Care Medicine is not just about hospitals and doctors. It’s about the entire team. It’s also about the people who are at the heart of the process before you get to hospital. The nurses and paramedics that I have worked with are some of the most amazing people who I have ever met. Ben and Dave are two such people; a nurse and a paramedic that are pushing the boundaries of what we can expect from these professions. These guys are both working for MedSTAR doing new stuff; Nurse/Paramedic led U/S in pre-hospital medicine and Nurse Only Intra Aortic Balloon Pump transfers. That is not the norm in Australia.It’s nice to hear about the positive experience these guys are having with the multi-disciplinary approach at the South Australian system. A lesson for us all. Then they published on it and presented it at a major conference. Of course they did.